Born in St. Louis, Missouri, I moved to the Lake Area in 1987. I attended school in Camdenton where I earned my high school diploma and was actively involved in student government, honor society, and numerous sports. After graduation, I commenced my undergraduate education at Missouri State University in Springfield, Missouri. I received my Bachelor of Science Degree in Political Science with a minor in Criminal Justice in 2001. During the Summer of my senior year at Missouri State University, I interned with now Associate Circuit Court Judge Eric D. Eighmy. In the fall of 2002, I began at Oklahoma City University School of Law where I quickly learned the value of preparation and dedication to the legal profession. In the spring of 2003, I began working for the firm of McAfee & Taft in Oklahoma City. There, I was trained in legal research, legal drafting, and exposed to many different areas of the law. I received my Juris Doctorate from Oklahoma City University School of Law in the spring of 2005. Upon graduation from law school, I established Saab & Associates in Camdenton, Missouri. I began my career as legal counsel and Vice President of American Realty and Development, a small commercial development company in Camdenton, Missouri. In late 2015, I moved my law practice to Lake Ozark, Missouri and joined The Cisar Law Firm, P.C., as an attorney of-counsel. In mid-2017, I moved to my current location in Camdenton, Missouri. 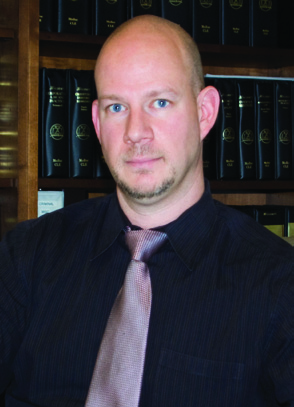 Since becoming a licensed attorney, I have handled a variety of cases. My areas of practice include: Civil Litigation; Family Law; Estate Planning; Real Estate Law; and Commercial Development. The majority of my free time is spent with my wife, Kimberly Saab, and my three adorable children, Carter, Lillian, and Hudson. My family and I enjoy golfing, boating, spending time at various sporting activities, and attending Our Lady of the Lake Catholic Church. We are truly blessed and enjoy being involved in the activities surrounding our beautiful community.